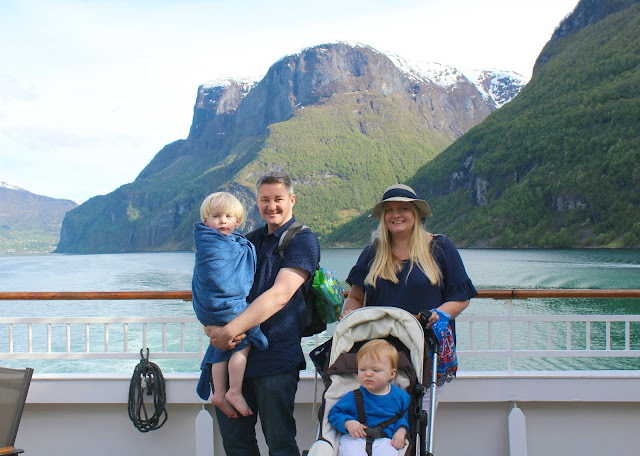 Last Monday, Jon & I along with Tyne & Noah headed off on a week long cruise of the Norwegian Fjords aboard P & O Cruises Aurora. Unfortunately (and ironically, given his name!) Sailor wasn't able to come with us due to his age as babies under 6 months old aren't allowed to travel on cruise ships (we had booked the holiday before we knew that we were expecting him!) 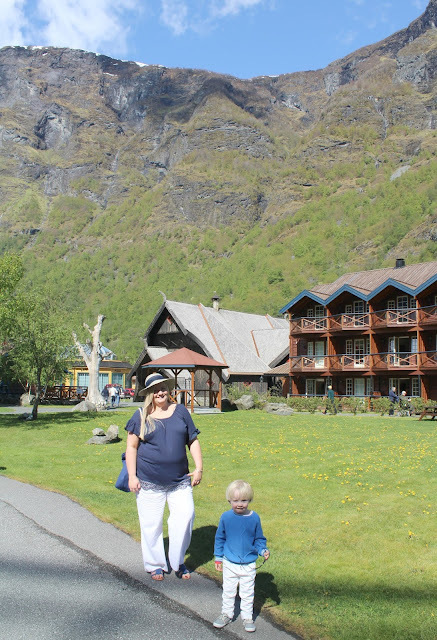 so he enjoyed a week of peace and quiet with my parents at home instead! 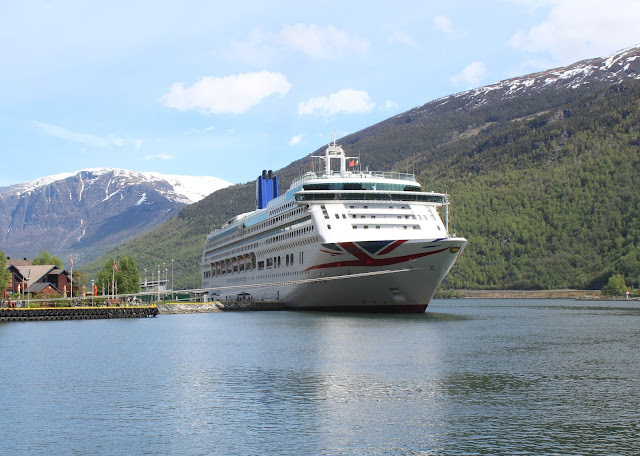 I'll be focusing on the cruise aspect of our holiday and my thoughts on P & O Aurora in my next post on Friday, but for today I want to concentrate on the ports that we visited. 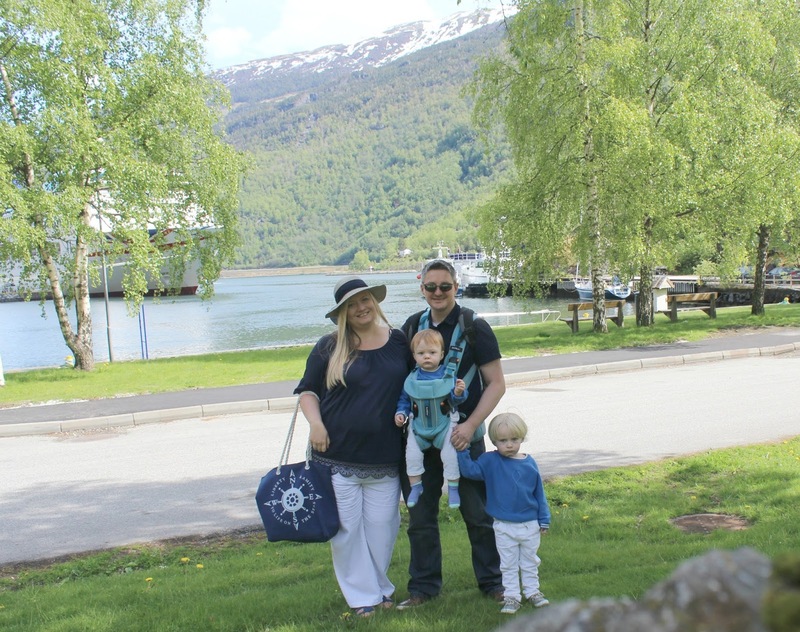 I love getting out and seeing the world, but given my extreme fear of flying it can be difficult to do so - thankfully cruising gives me the freedom to see the world without having to face the anxiety of flying, and so last year when we sat down with our friends Colin & Sarah to discuss the idea of taking a holiday together with our kids we chatted about places we'd like to visit. 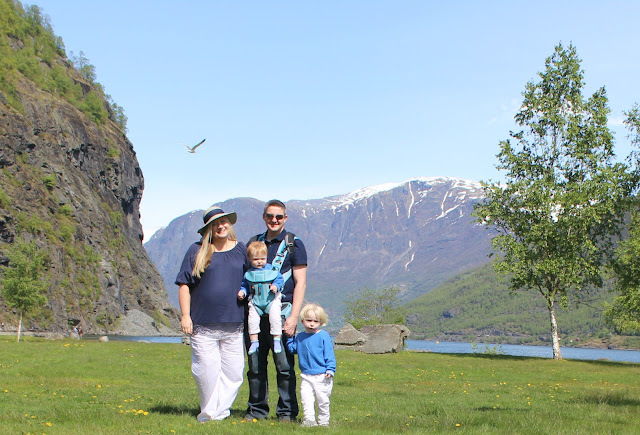 I have visited 8 countries so far in my life, which I don't think is too bad for someone with a fear of flying and considering I didn't take my first trip abroad until 12 years ago - and during my time travelling I have discovered that I'm really not a lover of beach holidays or hot weather! 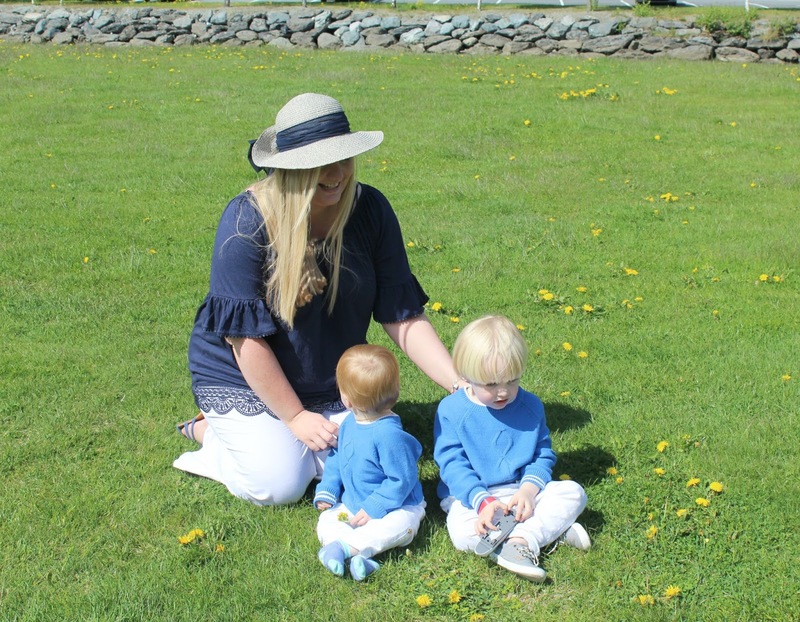 I really don't enjoy lounging in the sunshine for hours on end (i'm too pale for that for a start! ), and prefer to spend holidays sight seeing and experiencing a different way of life. 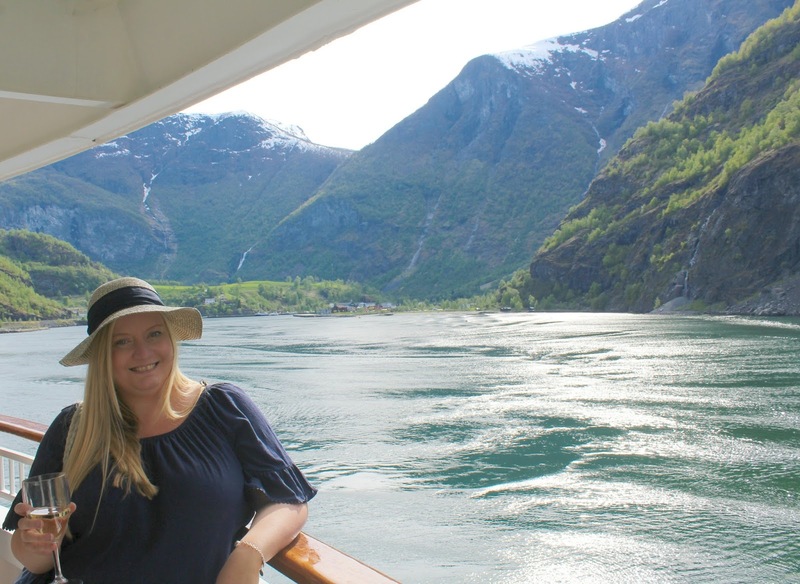 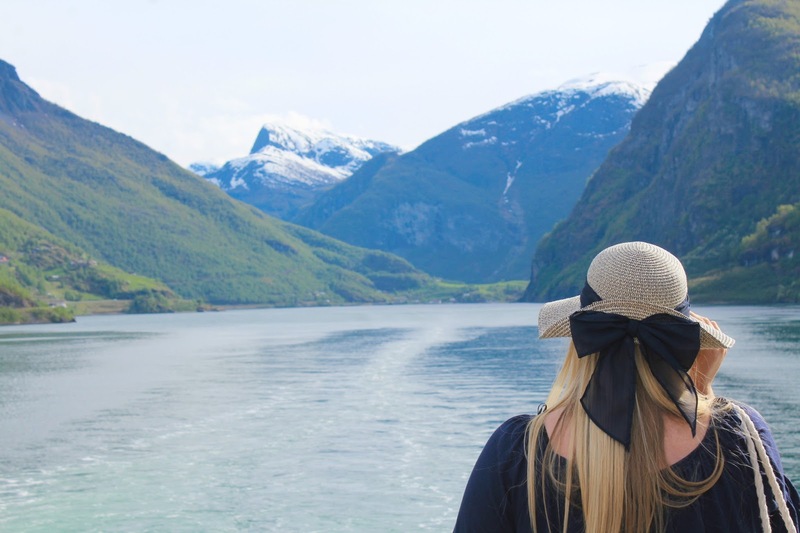 Norway has been pretty high up on my list of countries to visit for a long time, and when we discovered the Norwegian Fjords cruise we knew it was right for us! 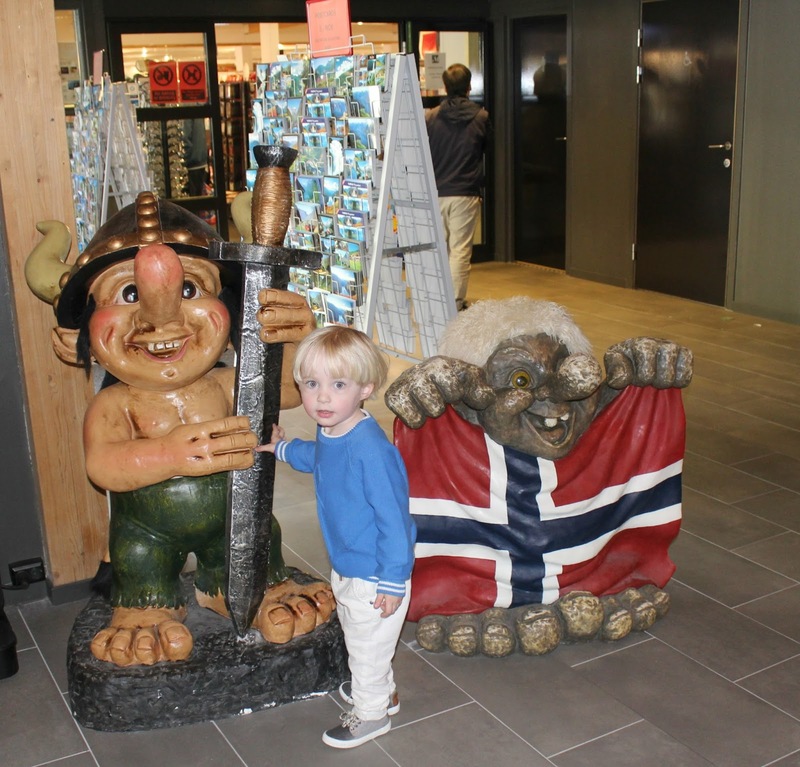 Tyne was very excited to visit "Elsa and Anna's home country" and was keen to see all of the trolls and vikings, and snow capped mountains! 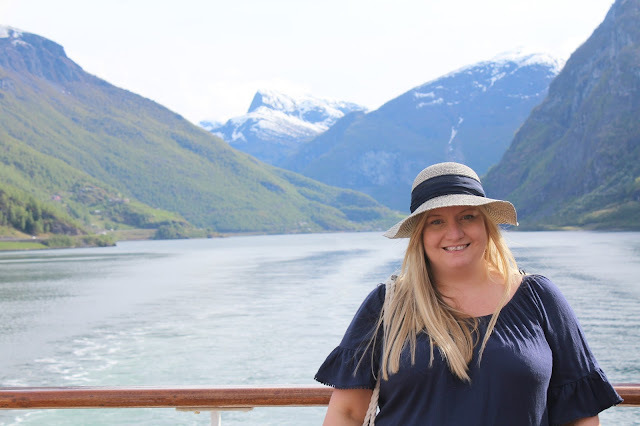 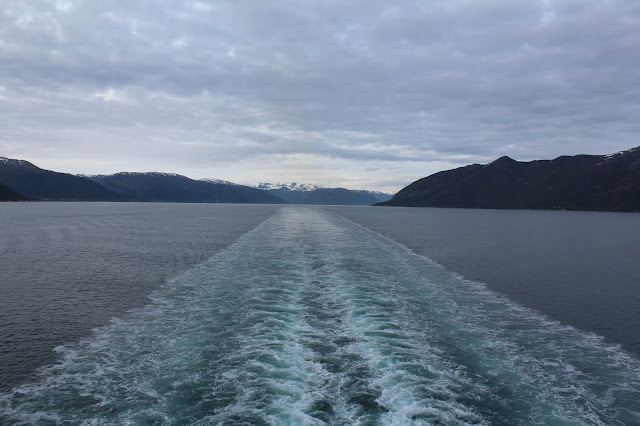 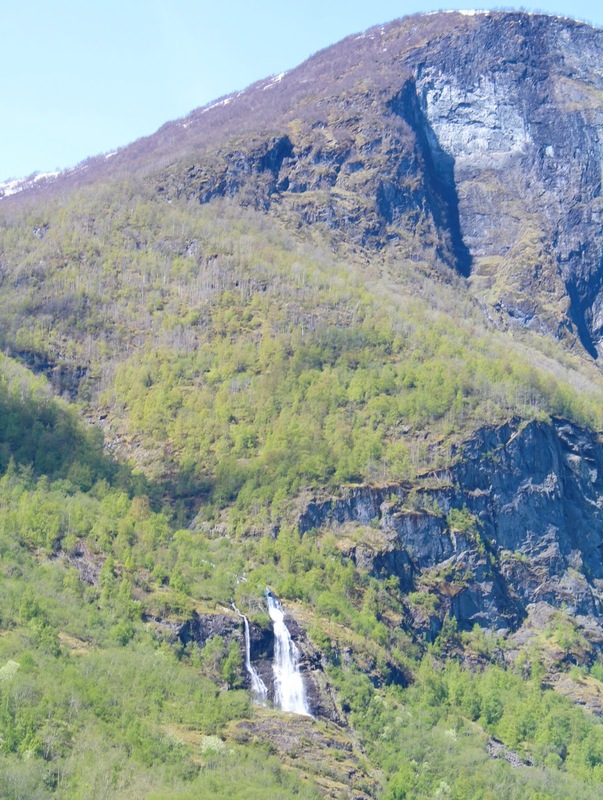 We visited four ports in Norway during our cruise, and travelled some of the most beautiful Fjords which were absolutely breath taking - we also travelled through the worlds longest and deepest fjord. The ports we visited were Bergen, Flam, Olden and Stavanger - here's a look at what we did in each port, and the photos we took! 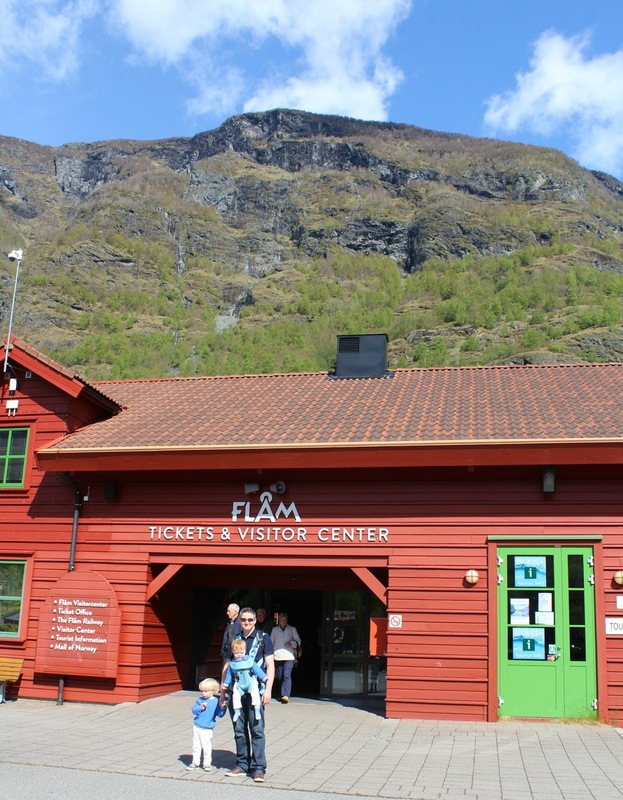 Flam was by far the favourite port for all of us - the scenery was quite simply breath taking! The ship docked right alongside the centre of the village, and the view from the moment we stepped off it made us literally gasp. 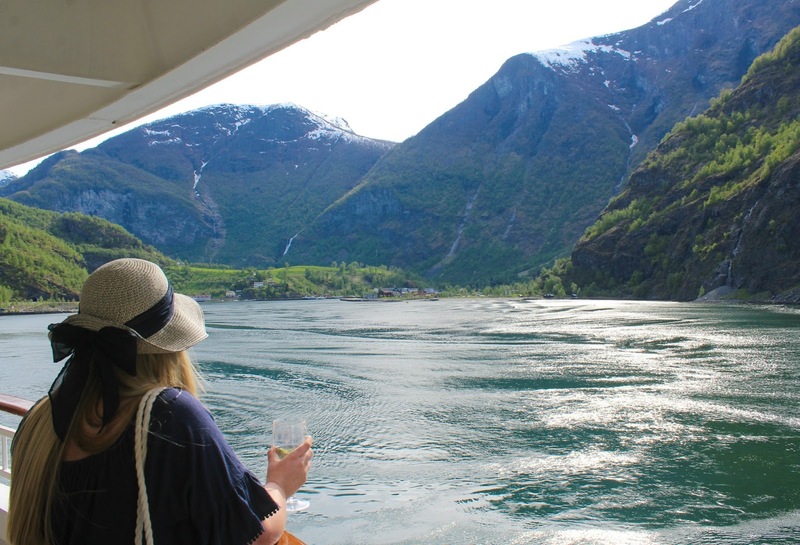 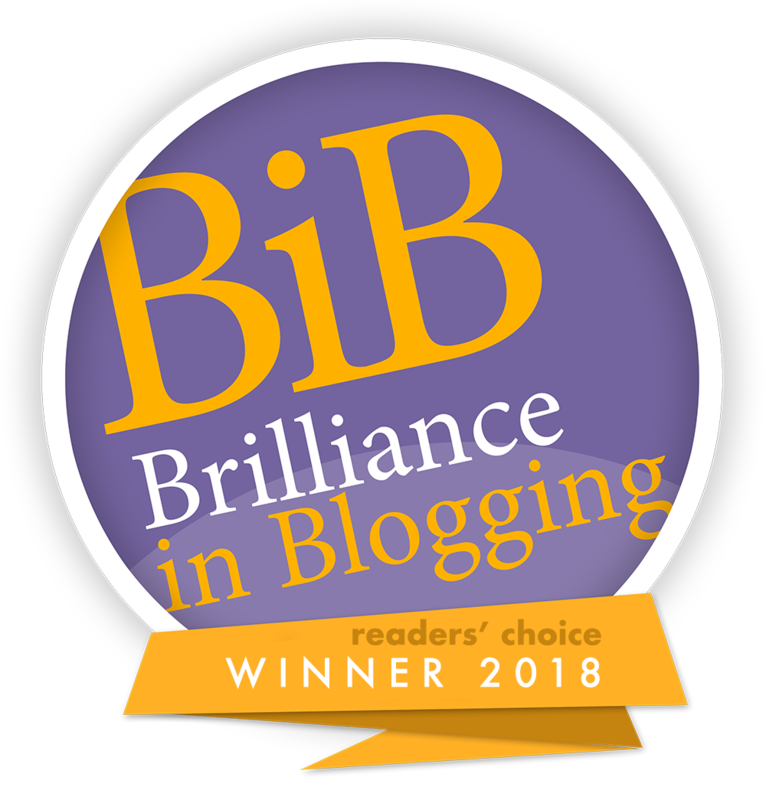 We were surrounded by enormous snow capped mountains lined with beautiful and vibrant green trees and cascading waterfalls - the beautiful and elegant fjord panned out ahead of us and, in the perfect Flam sunshine we had that day, glistened a beautiful shade of blue. We spent a while just taking in the beautiful scenery - even Tyne at 3 years old commented on how pretty it was, and asked if the trolls lived up there in the snowy mountains. 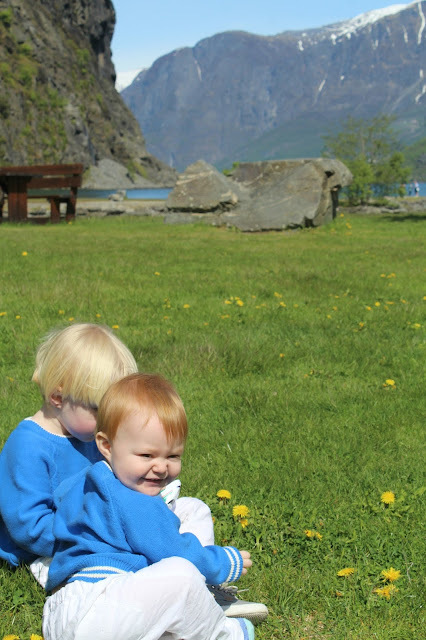 We had been informed by one of the third officers on board that there was a children's train operating in Flam, which was a great way to see everything - we headed for the Information Centre (where Tyne encountered his first trolls much to his delight!) 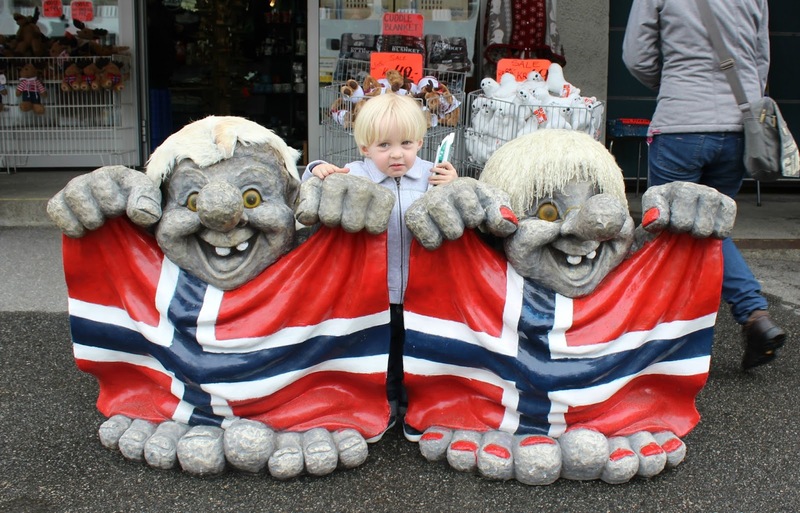 and booked our tickets - considering how expensive Norway can be (and it really is!) 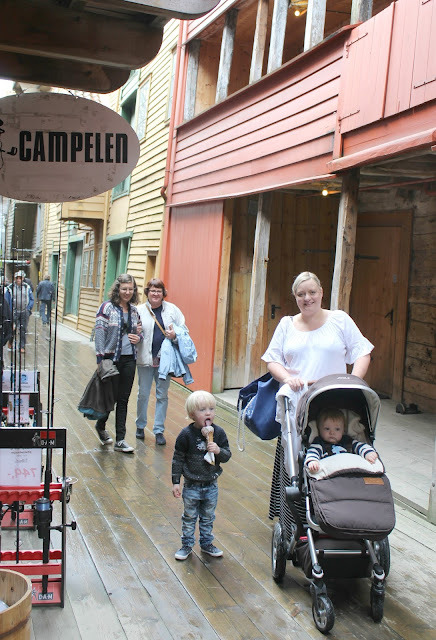 we were pleasantly surprised by the cost - it was just £12 per adult for the 45 minute round trip, and children were free. 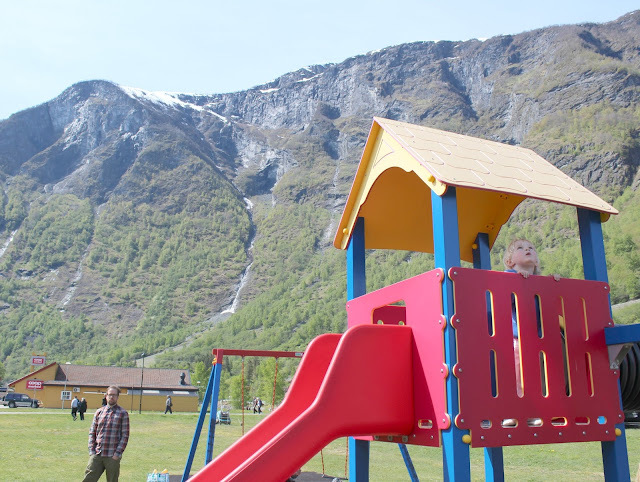 We boarded the little red train, and it took us all around the village - showing us the beautiful and quaint little village houses, the stunning backdrop of the mountains, the adorable little kindergarten (With a handful of little blond haired children playing in the yard), the local primary school and then along the fjord. 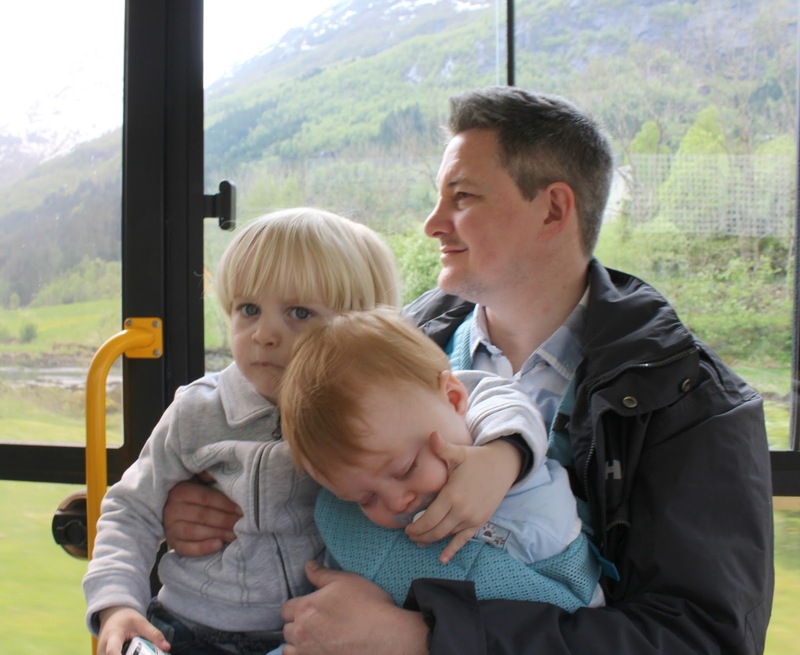 When we left the train, the driver scopped Tyne up and lifted him to ring it's bell which of course he was delighted with! 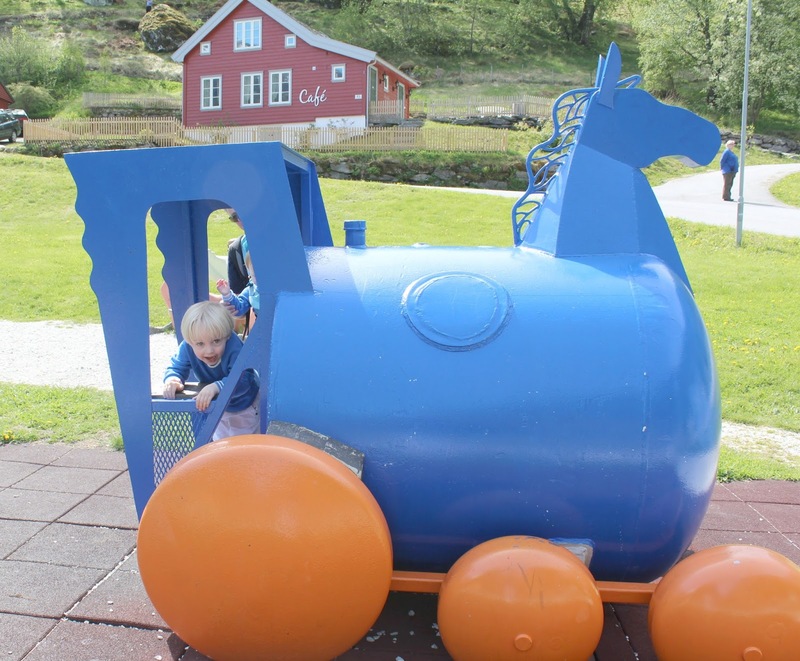 After our train trip, we headed to a quirky little park which we'd seen during our ride - we then had a look around some souvenir shops, and a little train museum which was a big hit with Tyne! 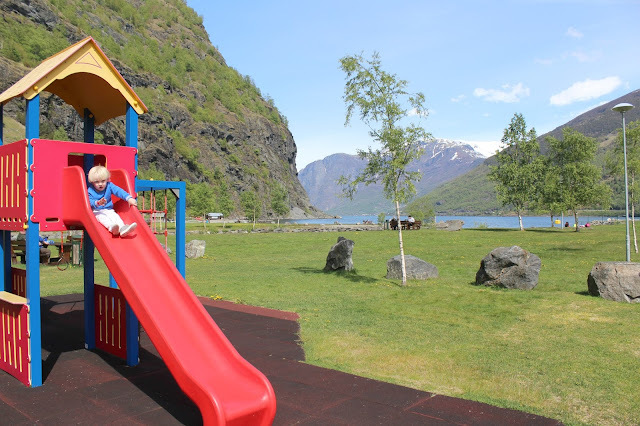 After another little walk around we found another little park right by the fjord, which was ideal and Tyne spent an hour or so playing there - it must have been the worlds most perfectly set play park! 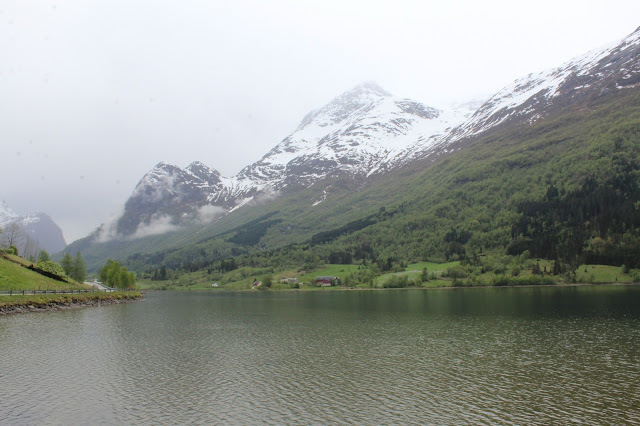 The scenery surrounding it was just breath taking! 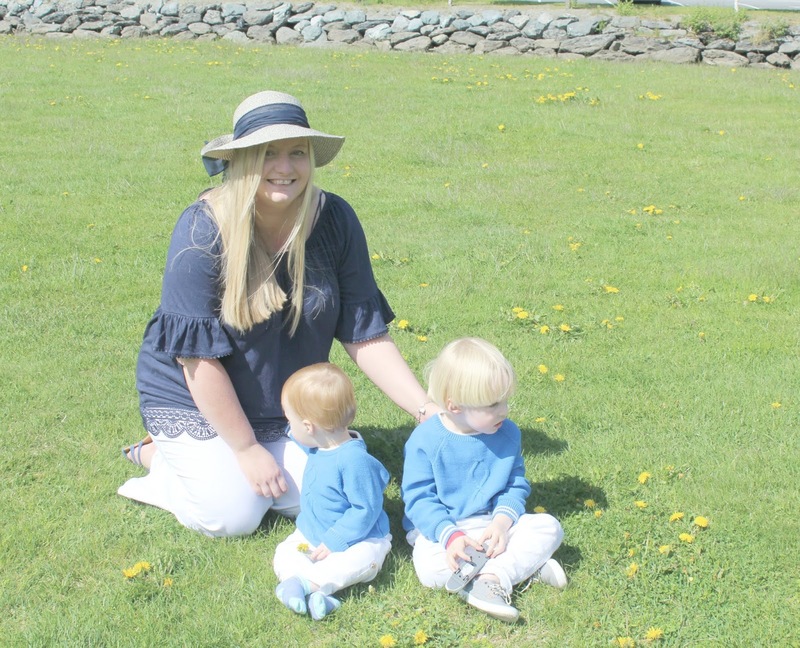 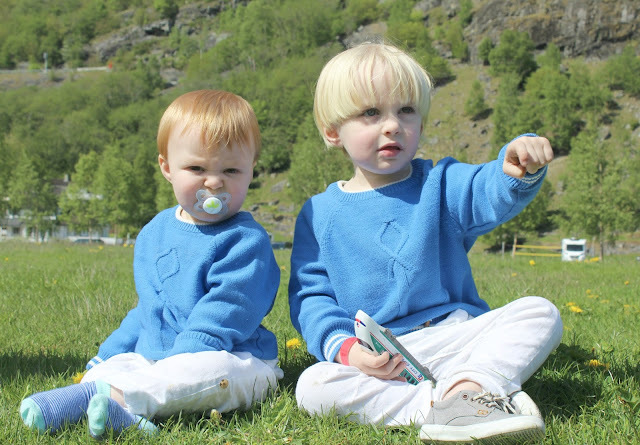 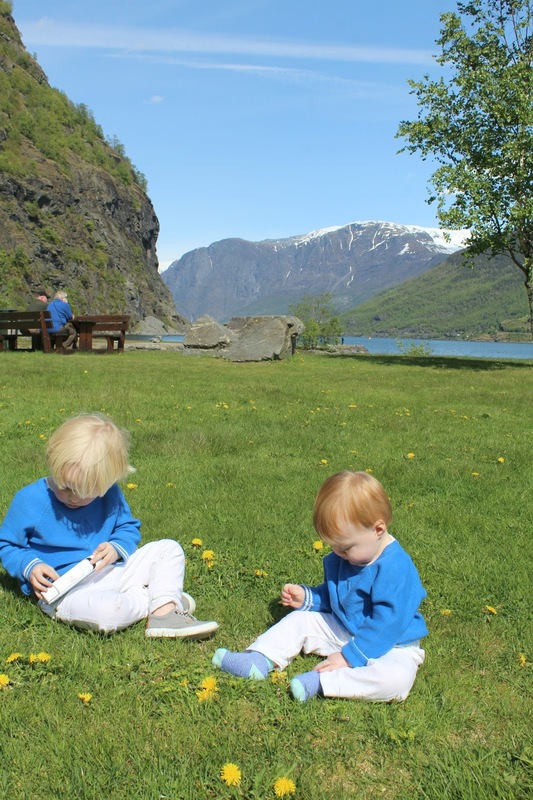 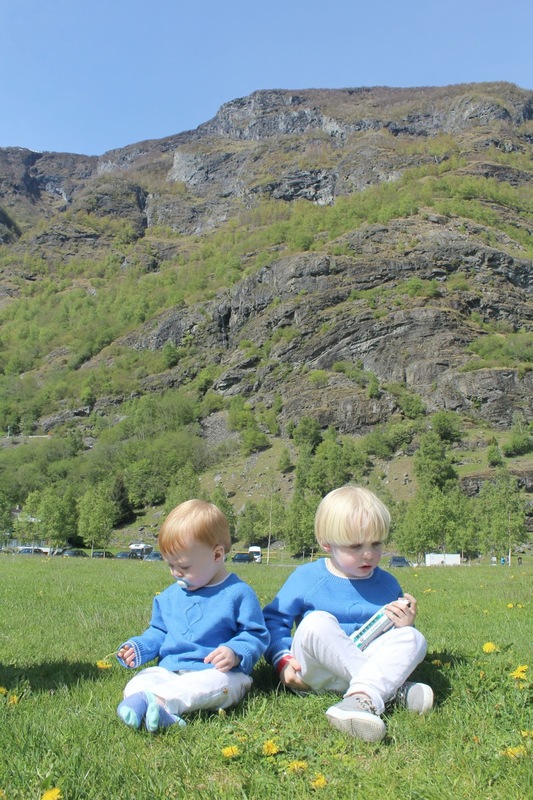 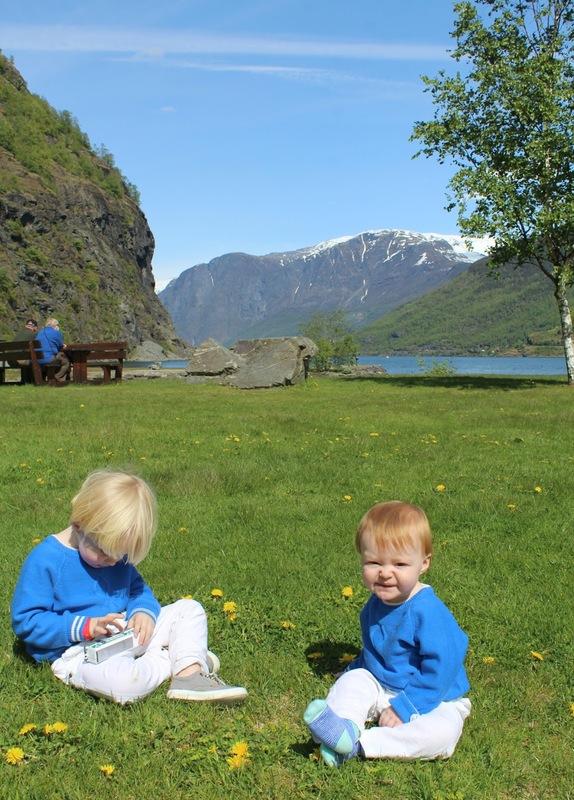 We stopped by the fjord to take a few photos of the boys before heading back to the ship, and a coach load of passing Taiwanese tourists headed over to us and asked if they could take some photographs of the boys - assuming we were a Norwegian family due to their hair colour! 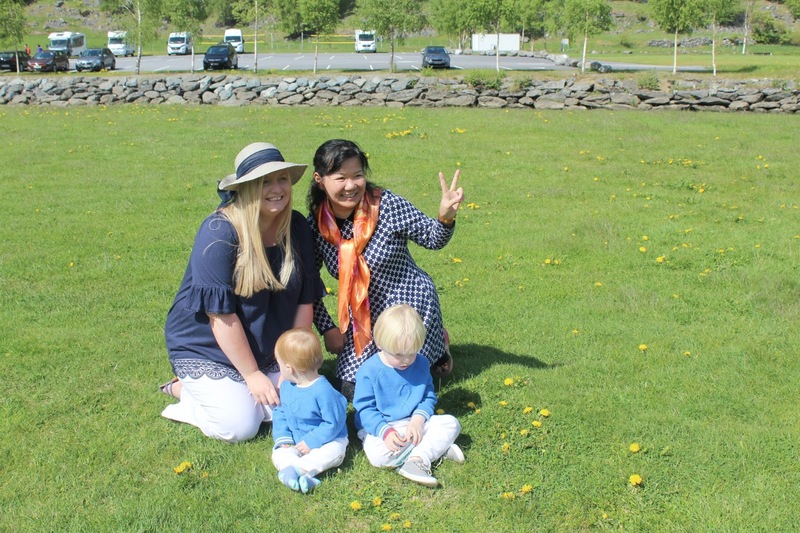 It was pretty funny watching these ladies pose with the kids, and then they asked me to join in too - a very strange experience but certainly funny to think of these ladies showing their families back home their photos with the "Norwegian family" they met! 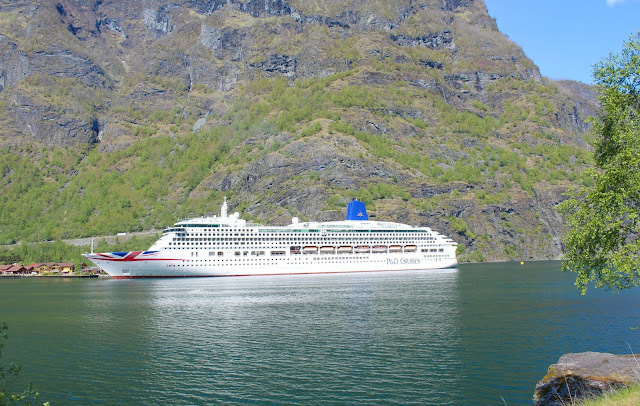 After each port we visited, the ship held a "Classical Sailaway" on the aft pool deck where passengers gathered to take in the surroundings as we cruises through the beautiful fjords - classical music was played to us to set the scene, and it was quite honestly a magical experience to behold such beauty in nature to such a perfect soundtrack on such a perfectly sunny day. 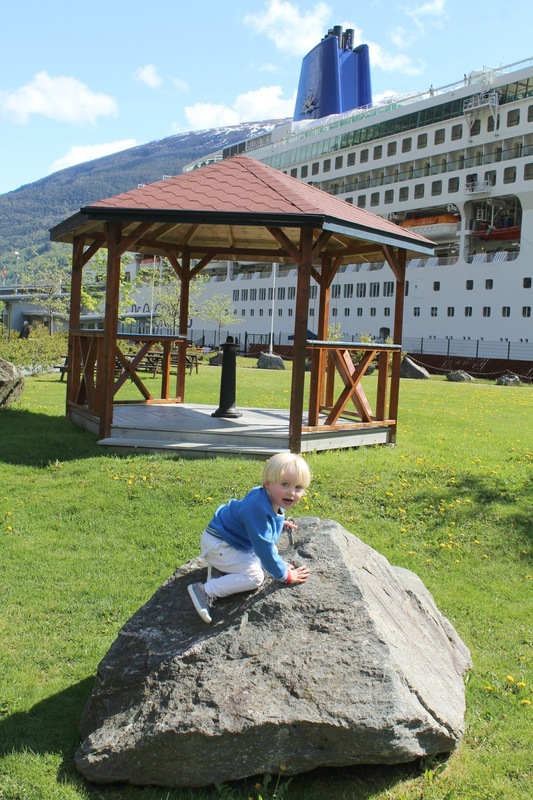 During the Flam sailaway, Tyne took to the pool whilst myself and Noah enjoyed the sailaway music - this was definitely a highlight of the cruise! 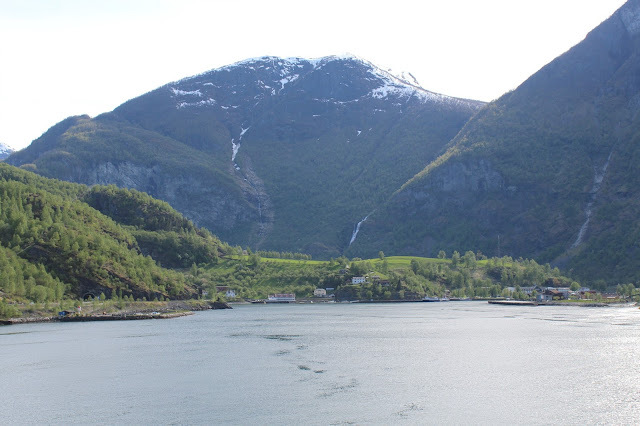 This was our second favourite port, and was actually a last minute amendment to our itinerary as we had originally been scheduled to visit Geiranger. 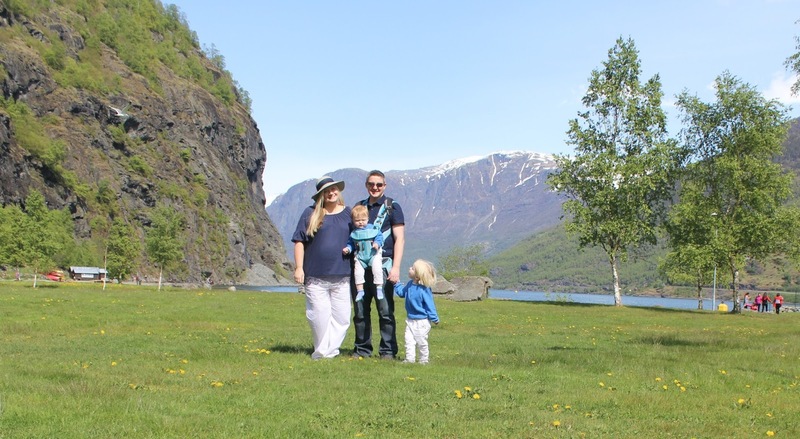 I obviously can't speak for what we missed in Geiranger, but Olden was certainly a beautiful place and I'm glad we got the chance to visit - it was a very small and quaint town with a tiny amount of souvenir shops but again, absolutely stunning scenery. 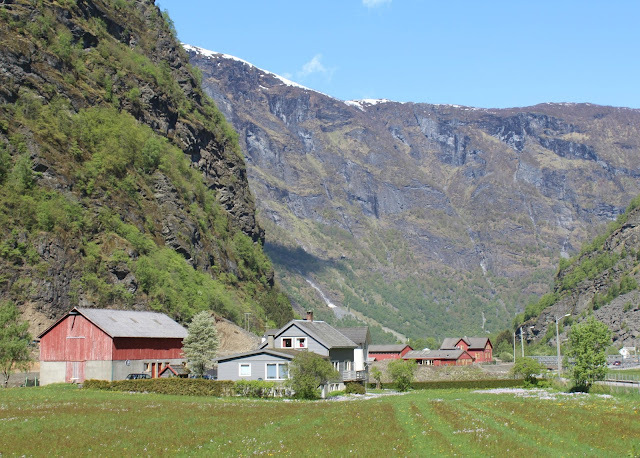 Olden is famous for it's glacier, and we were torn on whether to take a bus tour to see the glacier or take another land train trip - I am terrified of heights though and worried that I wouldn't enjoy the roads up through the mountains to see the glacier (Upon speaking with other passengers, I was right to worry as it apparently it was hairy in places!) 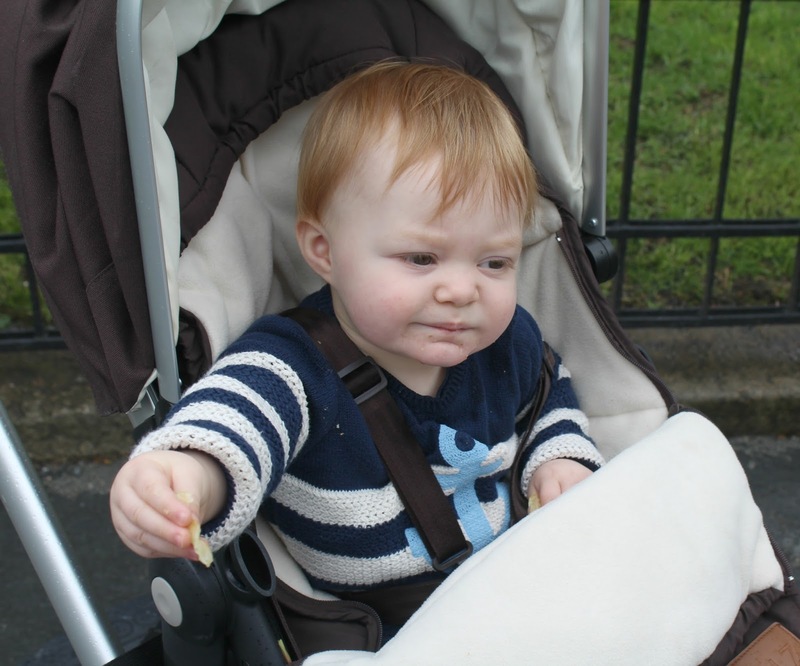 so we chose the land train again instead. 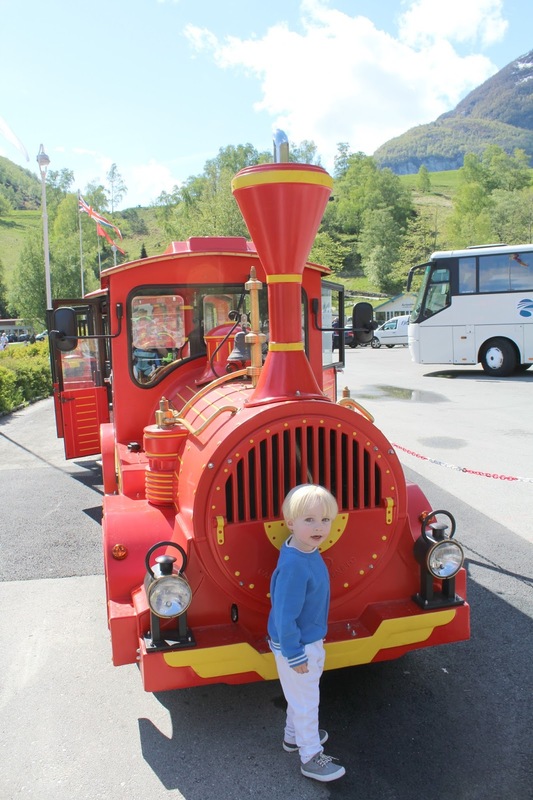 This time it was an hour long round trip, and we could hop on and off in the main village if we wanted to - it cost £15 per adult and again children were free. 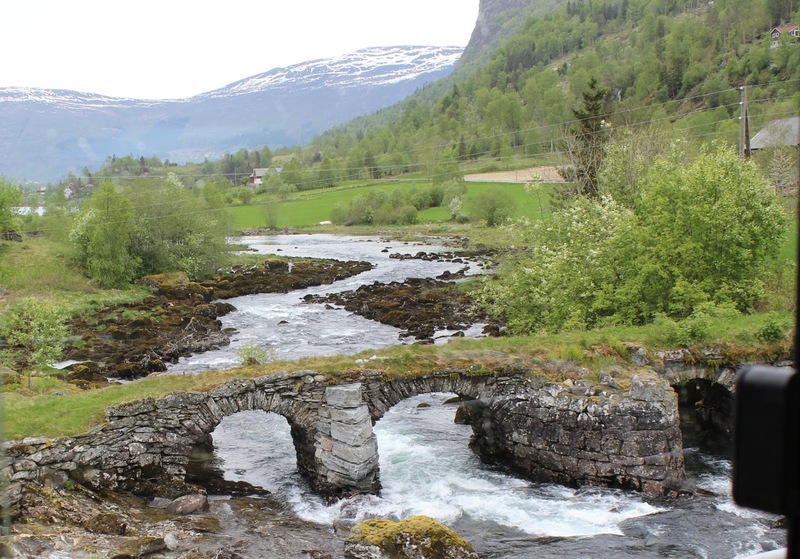 The trip around Olden was lovely, and set to an informative and amusing talk about everything we were seeing on the journey - we went over Olden's oldest bridge, and got to stop for photos at a beautiful waterfall. 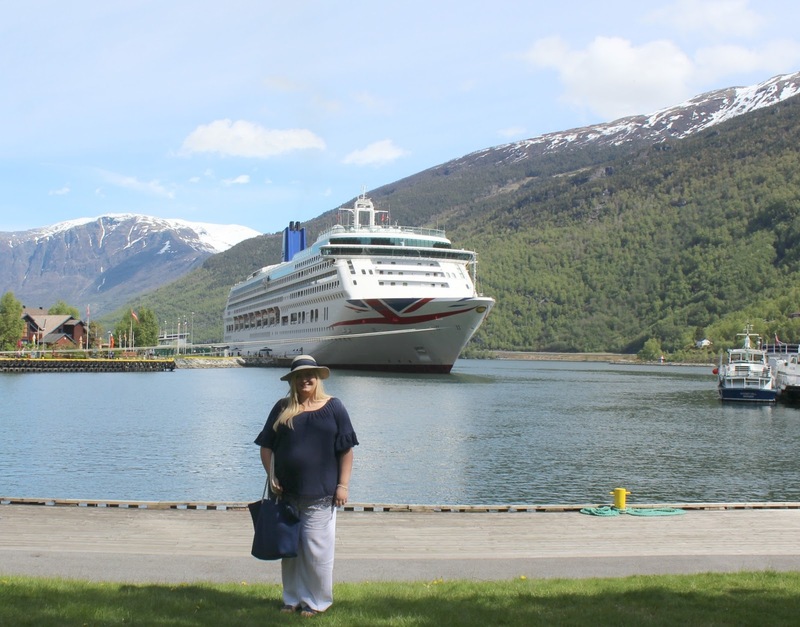 This was our first port of call, and although it didn't have the beautiful scenery to offer as Flam and Olden did - it was still a quaint and pretty town to visit. 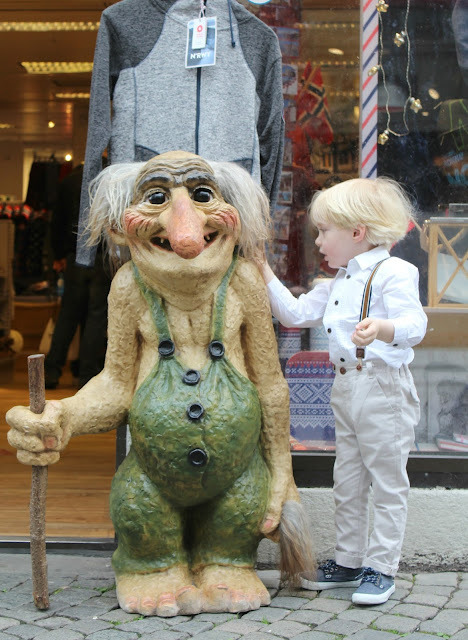 There was the option of a funicular ride up one of the mountains, but we decided against it and just had a walk around the town instead - there were lots of very traditional shops selling all sorts of weird and wonderful things, and Tyne loved looking at all of the trolls and viking things. 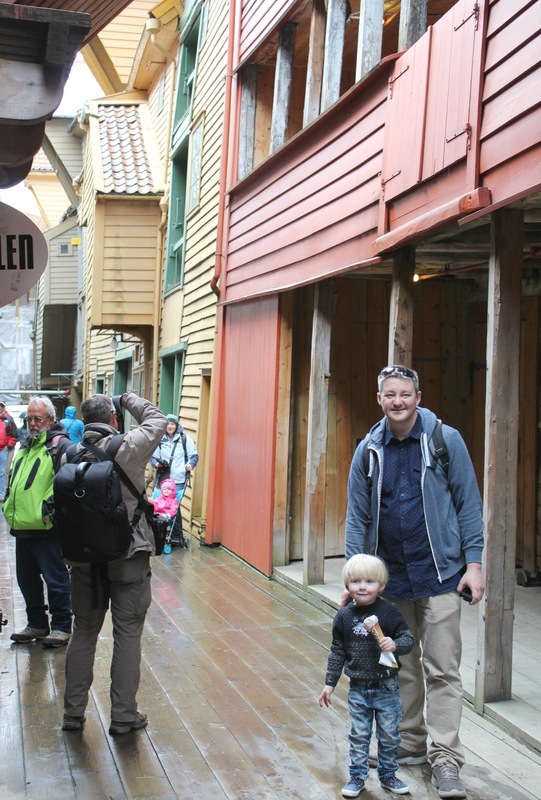 This was our last port of call, and was much more of a town/city feel than the previous ports. 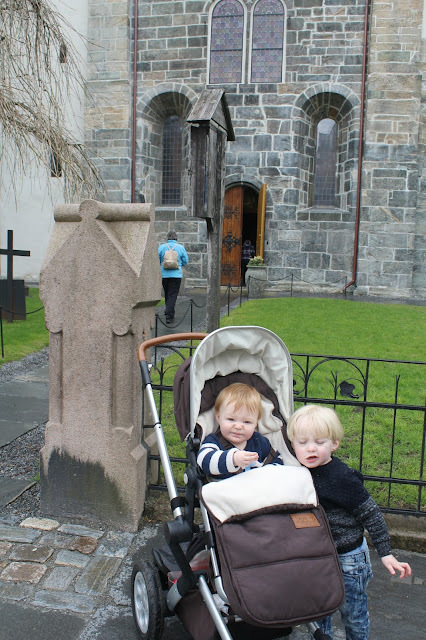 It was quite rainy during our visit, so we didn't fancy heading out too far but we did have a wander around for a couple of hours. 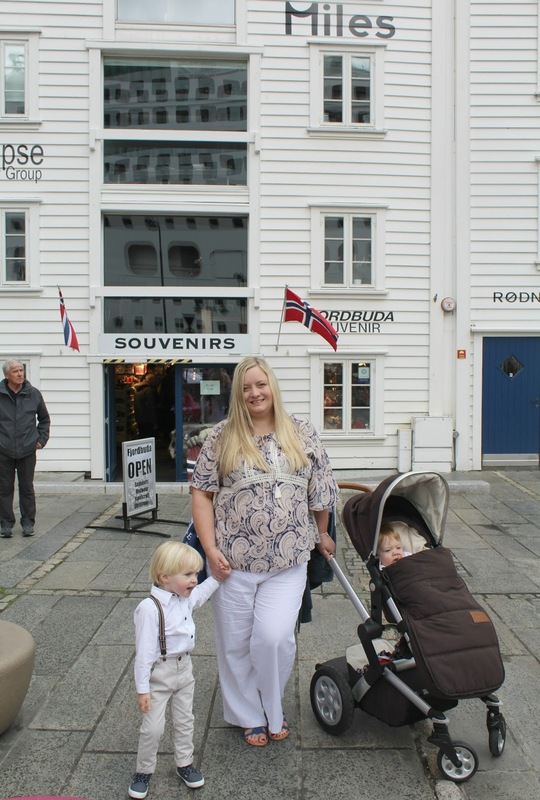 Most of the shops were ones we have at home (H & M, Mango, etc) so we didn't fancy looking in those - instead we headed to a souvenir shop to spend the last of our Krona before getting back aboard the ship. 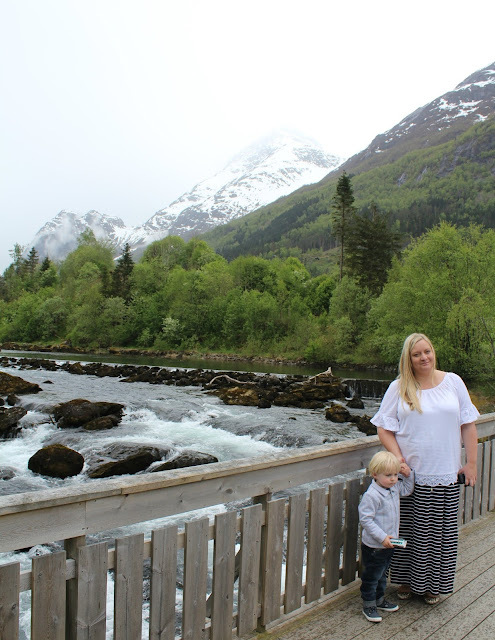 Norway certainly more than lived up to my expectations - it was the most beautiful country I have ever seen, and the memories of its stunning scenery will stay with me for a life time - I'm so pleased that we took the children here and gave them the opportunity to see how truly beautiful and unspoilt the world can be. The people of Norway that we encountered were so friendly and warm, we had the most wonderful time and I would love to visit again some day. 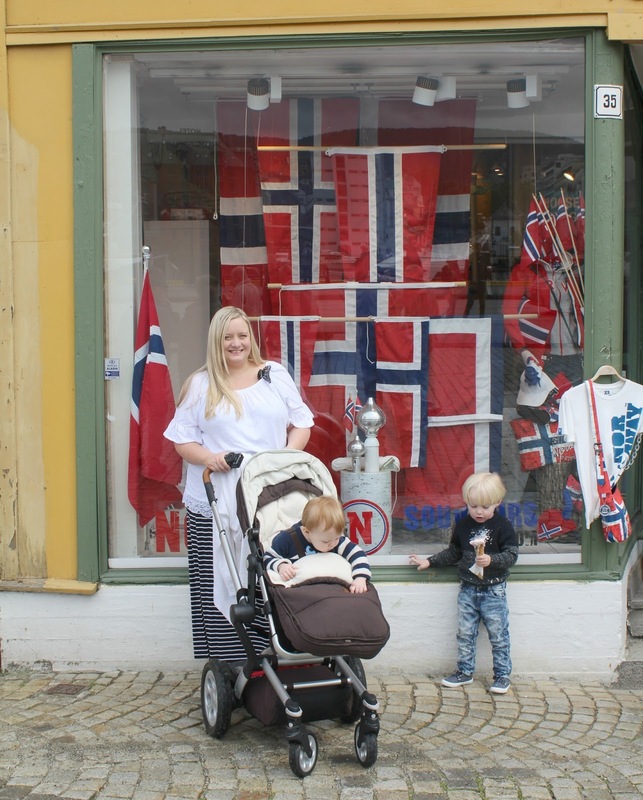 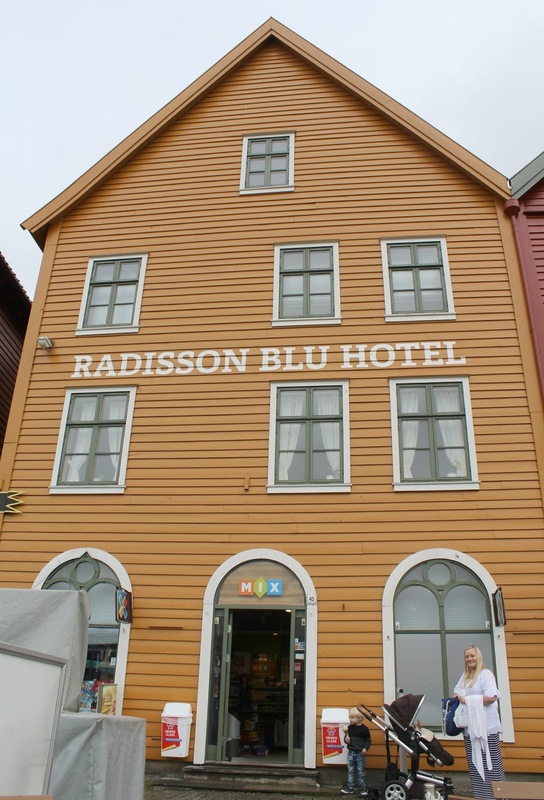 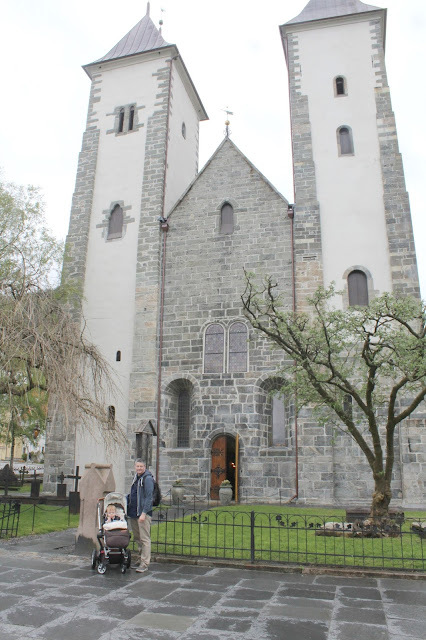 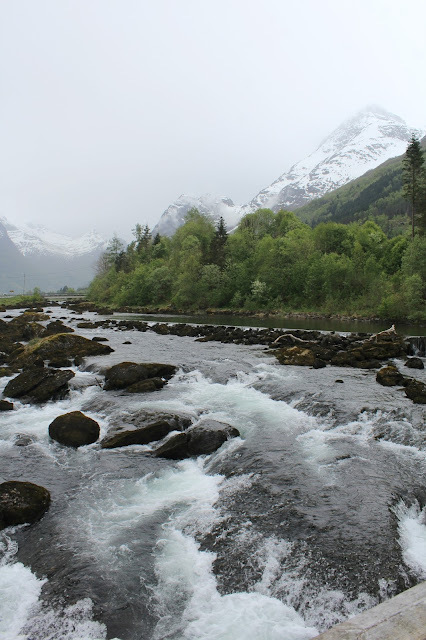 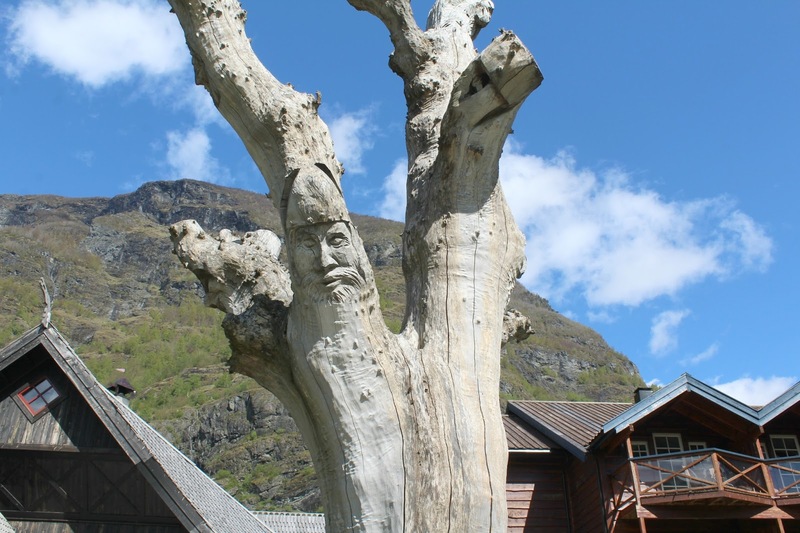 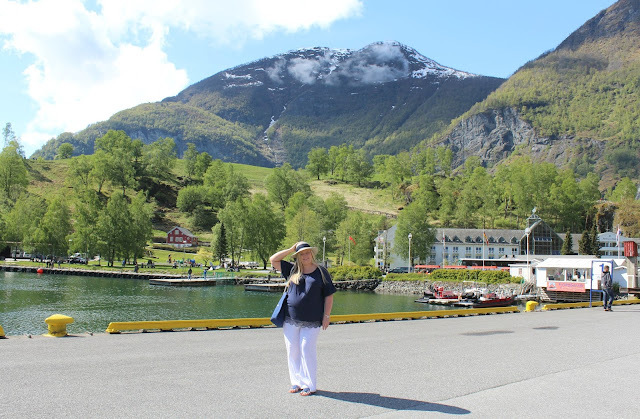 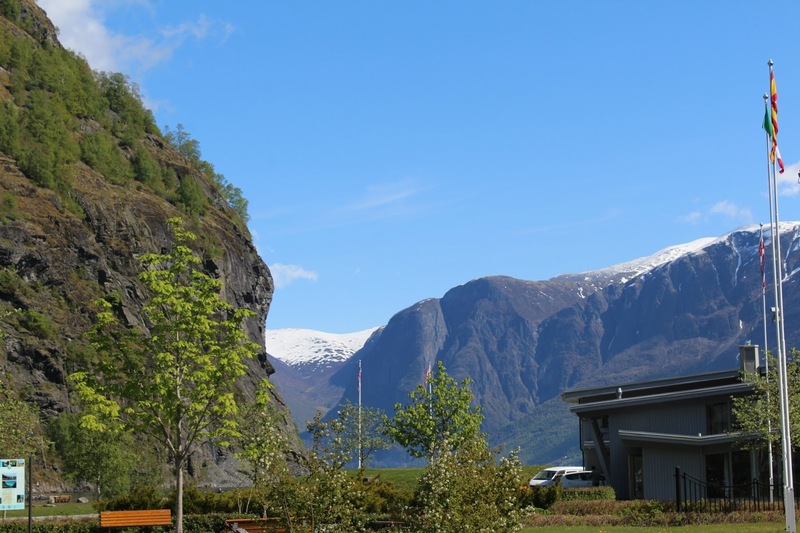 Cruise part 2 - Visiting Flam, Olden and Stavanger and fun on board! Have you ever visited Norway? 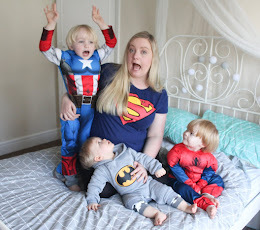 What have been your favourite countries to visit with children? 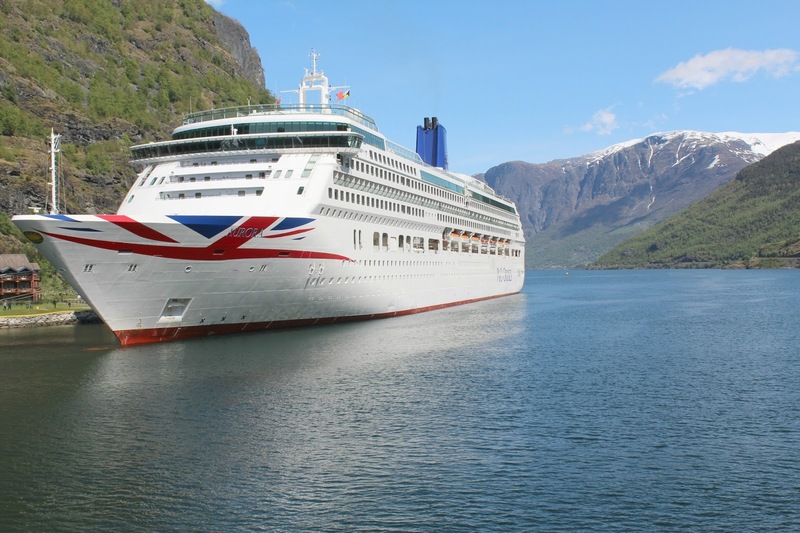 Oh this looks fab- it's made me really want to do this cruise too! 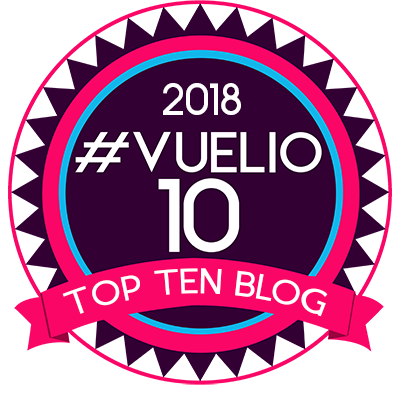 Another to add to the list!